This news comes as more than excitement to me. It is the launch of all things great and wonderful as far as makeup is concerned. 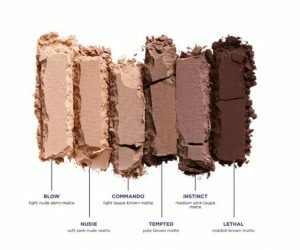 Get your smelling salts at the ready and then let me introduce you to the newest member of the Urban Decay Naked Basics Family. Drum roll please . . . It's the Ultimate Matte Basics. Yes, you read right. Matte. The Makeup Gods have answered our prayers! There are twelve full-size matte shades varying in versatile colours, and we are not being overly enthusiastic when we declare that it is the perfect palette for any makeup artist or lover. Introducing the newest member of the Naked lineup... Naked Ultimate Basics!! #YouLookBetterNaked #NakedUltimateBasics ? The best part about it is that is was created because the lovely folk over at Urban Decay responded to the billions (probably) of customer requests to develop this type of palette. It's so fascinating to see how far cosmetic companies have come in ten years all because of social media; makeup leaders are responding to public requests and following through. 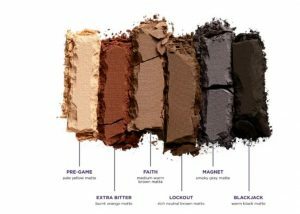 Urban Decay launches its new matte palette with the caption, "You asked for it..." on social channels across the board. The must have palette will launch on September 18th and will introduce twelve brand new eyeshadow colours that are all matte (bar one for strobing) all fitting in line with AW16 trends. But even though we have to wait a month to get our paws on this beauty IRL, we have a sneak peak of all the colours. I, for one, have my name on the waiting list for this puppy. Are you as excited as I am?